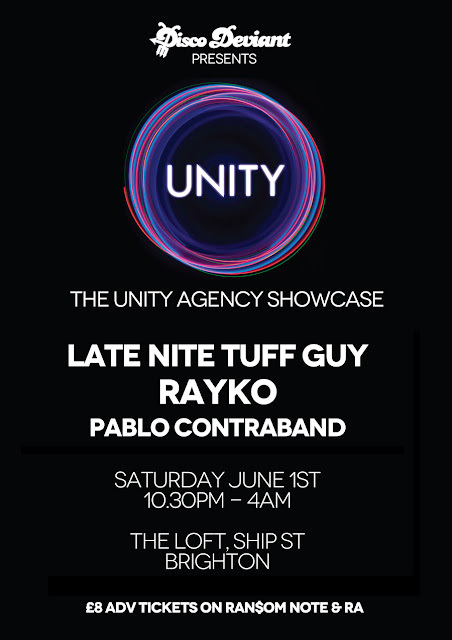 Looking forward to next weeks party at The Loft. The stage is set for another quality night with Late Nite Tuff Guy & Rayko joining us for a big fat disco session in one of our favourite night spots. We have a rather excellent competition open to all advance ticket holders, A PAIR of Electric Elephant festival tickets are up for grabs! So if you fancy dancing on the Adriatic coast in the sunshine courtesy of Disco Deviant then all you need to do is get yourself an advance ticket for our party on June 1st - if you already have done you are already in the running. Please note this competiton is open to advance ticket holders only. Electric Elephant, July 11-15 in Tisno, Croatia - Frankie Knuckles & Carl Craig are on the bill alongside Weatherall, LNTG, DJ Rocca, HMD, Miguel Campbell and many more. We will announce the winner on the night and then confirm by email on Sunday June 2nd. New mix of lazy hip-hop & deep disco funk grooves with plenty of soul. If you want to buy or download and of the tracks just click the links in the tracklist. Australia's Cam Bianchetti had already established himself as a bit of a legend on the Techno circuit many moons ago as DJ HMC. However his recent incarnation as Late Nite Tuff Guy, a disco centric editor and DJ has captured the attention and imagination of many and the news has travelled far and wide. He continues to gain fans via his Soundcloud which bears testament to his prolific production rate. He has been somewhat selective with his releases and keeps much of his work back for his own DJ sets and to share with a select few; Greg Wilson has been a big fan of his work for a while and his sets often feature a handful of Late Nite Tuff Guy tracks. Disco Deviant has the pleasure of hosting LNTG's UK debut in Brighton on Saturday June 1st - which also marks the start of a three month European Tour for LNTG. 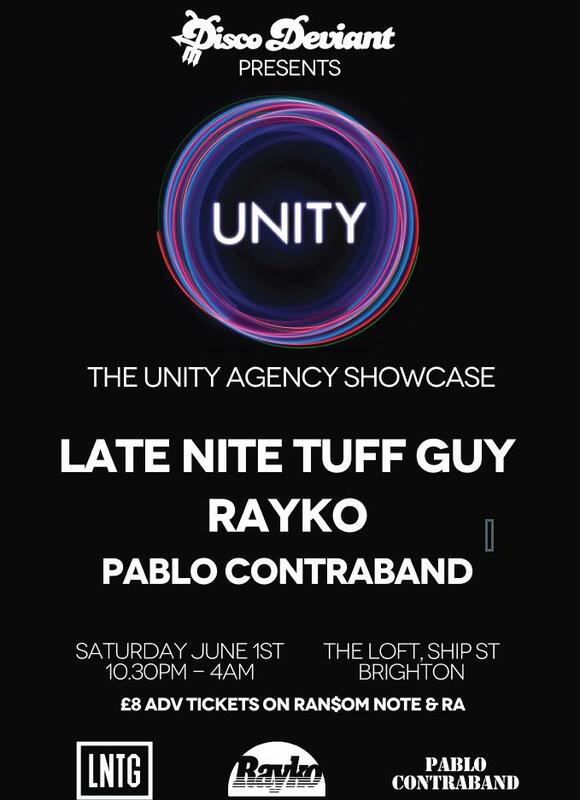 Also on the bill another leading light of the modern disco scene; Rayko will be flying in from Madrid for the occasion, before commencing a tour of Asia, a further continuation of his Worldwide Boogie Crusade. Disco Deviant's very own Pablo Contraband will be putting his own slant on the dancefloor with the disco-house hybrid he has become known for.